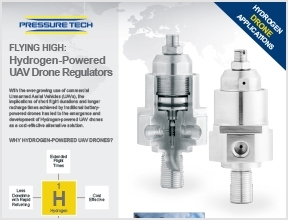 The Pressure Tech range of pressure regulators for Hydrogen fuel cell applications now covers models designed specifically for the light vehicles, UAV drones, vehicles and refuelling applications. 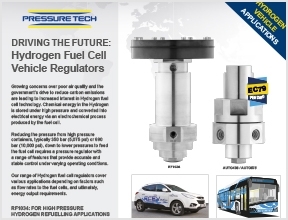 To return a Pressure Tech regulator, please contact us on +44 (0)1457 899 307 and request an NCR number. 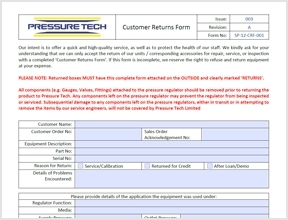 Complete this 'Customer Returns' form, ensuring you include your NCR number in the 'Customer Returns Ref. No.' field. Pack the regulator and completed form and add 'FAO Pressure Tech Quality Manager - NCR Number: XXXX' on the outside of the packaging. 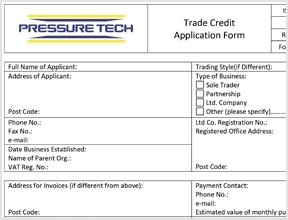 Please complete our 'Trade Credit Application Form' to apply for a credit account with Pressure Tech. 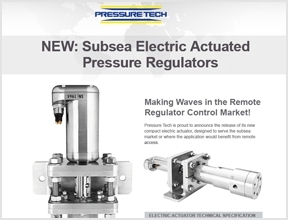 Our new compact electric actuator has been designed for use on our subsea regulators for applications that would benefit from remote access. With a fully closed loop servo motion system for controlled precision and a brushless 24V DC motor, it is the perfect solution for topside applications on unmanned platforms. 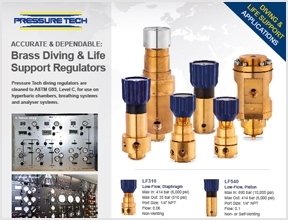 Our brass pressure regulators are perfect for use on critical life support and diving applications. 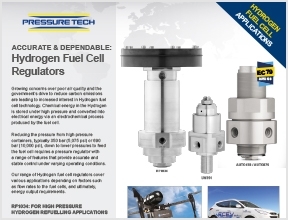 We work with our customers to provide a quality range of regulators cleaned to the highest standard for use in hyperbaric chambers, breathing systems and analyser systems. 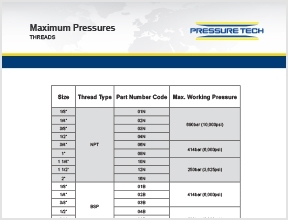 This PDF details the maximum pressure of different thread types and sizes from 1/8" to 2" and includes NPT, BSP, MP and SAE. 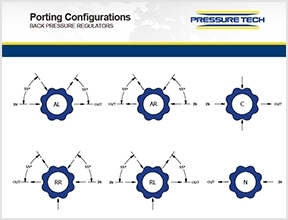 Porting configurations available for Pressure Tech forward reducing pressure regulators. Please note: Additional porting configurations are available - please contact the office on +44 (0)1457 899 307 for further information. 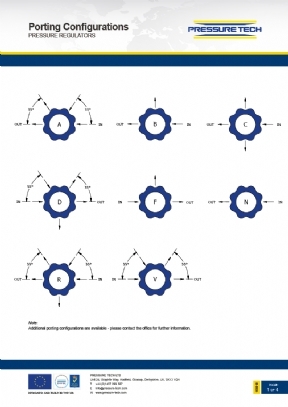 Porting configurations available for Pressure Tech back pressure regulators. 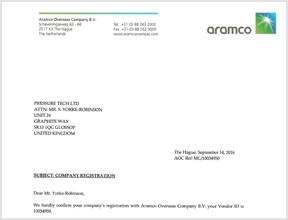 Pressure Tech has been officially recognised by Saudi Aramco and added to their approved vendor list, enabling us to quote on future projects. 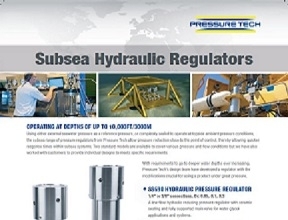 Pressure Tech has developed a regulator with modifications crucial for subsea operation. The SS690 with ceramic seating & fully supported main valve, provides stable control under varying inlet pressures. Operating at depths of 3000m, the SS690 is designed & manufactured to produce the highest standard of results within a challenging environment.